A few obligations between the two of us have slowed the pace of posts, But we’re storming back strong with new posts about a plethora of topics that hopefully will get your head spinning. In December the Detroit Free Press published an article concerning a campaign boosting several Michigan based businesses, called Buy Michigan Now. I had originally set out to craft a follow up piece to my first entry, but it got put on the backburner due to a few other things that have been going on. However, since then I’ve kept up with many localized themes that have started up around town and will continue to write about them as they spring up. I’m not shy to promote my fondness for buying things locally before I result to finding them in a large-chain-super-mega-giant (You know what I mean). I’m willing to spend a few extra dollars knowing that more of my money will be finding its way back into my local economy. For those of you that either live, shop or visit Royal Oak may have noticed the “Shop Local” signs in window displays in downtown. I’ve caught a few windows with the slogan “Stay loyal to the Royal.” It’s obvious store owners are trying to capitalize on the trend to attract customers looking to be a part of this local shopping wave. 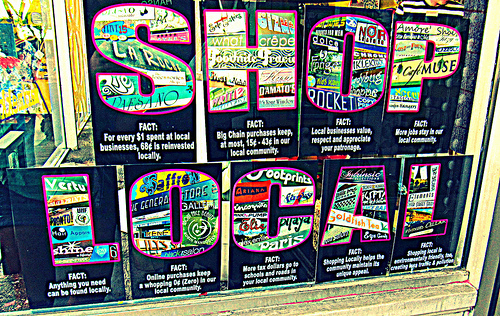 I hope this idea of buying locally isn’t just some sort of trend but rather a way of life. It’s great for the economy, the environment and the quality of life in your neighborhood. 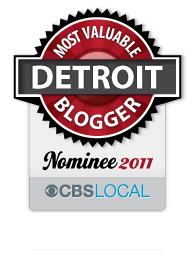 This entry was posted in Detroit, Fashion, Food, Music, Things To Do and tagged 3/50 Project, detroit, detroit free press, environment, independent, local, quality of life, Royal Oak. Bookmark the permalink.